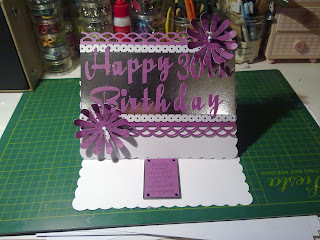 So many cards so little time....: Everyone turns 30! The above card was made for a very stylish Italian lady! Used Tim Holtz distress and word charms and a wooden heart I bought from a show years ago and forgot about! The straw was also coloured with dewdrop brilliance crimson copper. The paper I got from my local craft shop and was just an odd sheet so I am not sure of the make. Cutting done on the silhouette and just printed the happy birthday and tinted with pink dewdrop ink pad. The sticker to hold up the card is K&Company. 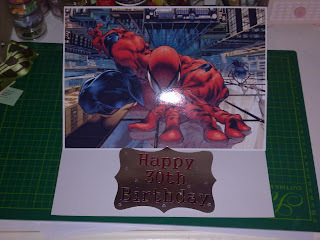 Spiderman was made for a comic fanatic, no surprise there really! Again cut from silhouette. 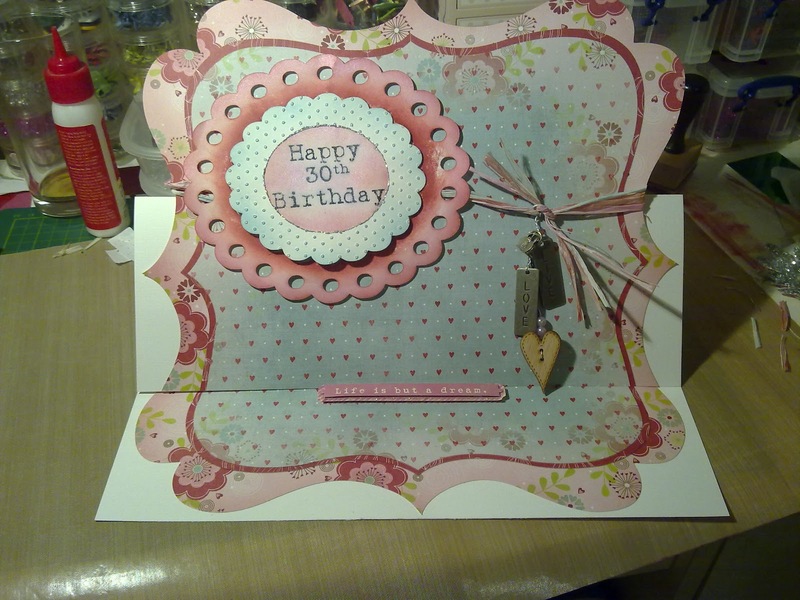 The above card was made for a very good friend of mine and was just from me to her. All cutting on done on my silhouette and the stamp was from the chic TH collection. The last of the recent onces, a guitar which was really simple just one sheet of DCWV rockstar stack and some eyelets and black ribbon. All the cutting was done with my silhouette and all the plain coloured paper from my stash! Great paper for a guy card who is a singer and plays! Made last year for a shoe fanatic. The ribbon was a dark red rather the orange it looks and I still have the positive of it above my desk and it looks fab! Just fed a sheet of mirri card into the silhouette and done but this was my second go, Needed a very sticky matt for the heavier card and all the circles! Used my crop-a-dile for the holes and black eyelets. Had a busy few days, took the kids to a soft play centre, I think I was as tired as them by the end of it! All I have made in the past few days is some bakers twine from plain crochet cotton & my pro markers. So far I have brown, pink, red and blue. Will continue with that tomorrow but I did make a card and use the blue twine which I will put up on Sunday once I have the pics! 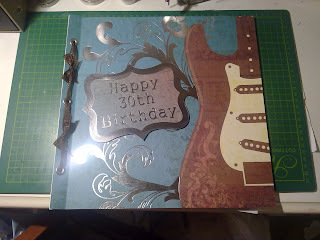 Wanted to share some 30th cards I have made recently for people at work. The shoe one was last year but they were all made for the same reason so wanted to include it! They need to be large for everyone to sign so I cut down 12x12 to A4 size and stuck together. I now have A4 cards so will no longer have to do this! I loved making these cards and they were made with the people in mind and best of all they loved them. 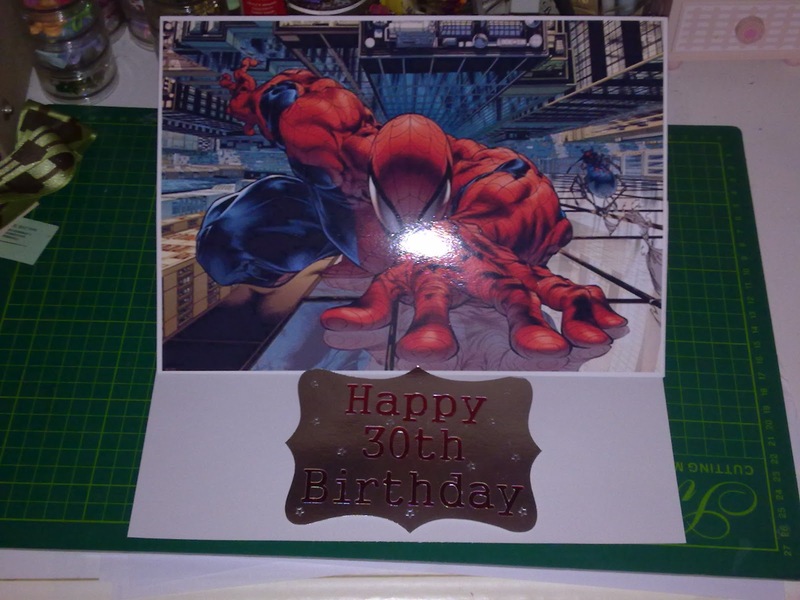 Have had 2 people ask me to make cards for them when it is their birthday as well!